The business intelligence (BI) market in Australia is growing, as an increasing number of organisations recognise the value of deriving insights from their company data. Gartner figures predict that the BI software segment will be worth US$443.5 million (AU$579.4) in the country by next year. 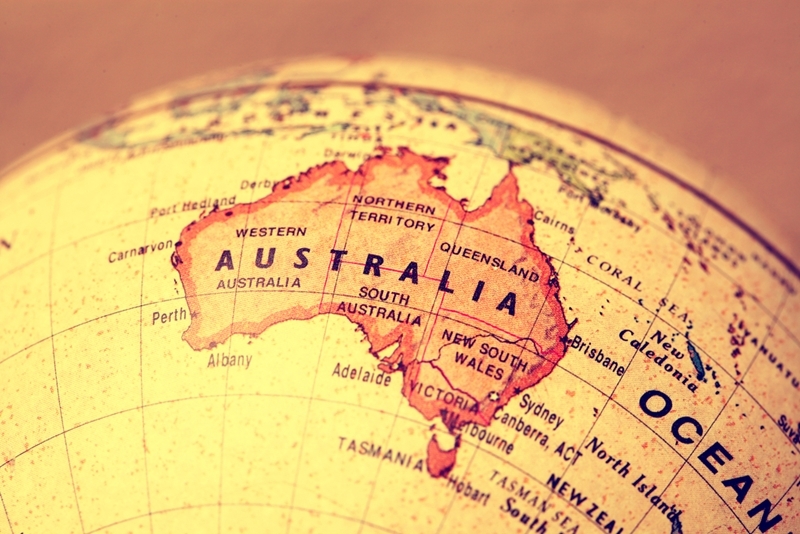 The data showed a 5.4 per cent increase in revenues for the sector between 2013 and 2014, with Australia the largest market for BI solutions across the Asia-Pacific region. But what separates the best from the rest when it comes to using these platforms effectively? Here are three of the key factors that could bring your BI capabilities to the next level. Businesses that want to leverage their data must have access to sophisticated and well-integrated software. According to a 2015 EY report, 47 per cent of leading analytics enterprises have established tools that are updated regularly. Meanwhile, only 14 per cent of other companies could say the same. EY highlighted the importance of focusing technology efforts on enabling smart decision-making, which the firm said is the ultimate aim of analytics. The EY study also recognised the value of harnessing data analytics skills within the workforce. People with BI and analytics experience were among the most highly sought-after candidates in a recent Hays Australia Quarterly Report. Meanwhile, more generally, highly skilled ICT applicants are in short supply across Australia. Australian Computer Society and Deloitte data revealed the number of graduates with these qualifications is on the decline, despite ongoing increases in demand. Even with the best tools and people in place, businesses can still struggle to get the most out of BI solutions without comprehensive training. EY noted that the top 10 per cent of data analytics leaders were more likely to invest in on-site seminars, workshops and off-site education programs. Mentoring from analytics professionals was evident among 39 per cent of the best-performing companies, compared with just 25 per cent of other organisations. Similarly, 27 per cent of high-performers forged partnerships with data analytics specialists, while only 19 per cent of their competitors did likewise. Without the right software and people, businesses may struggle to optimise their BI capabilities. Enterprises that wish to optimise their approach to BI must address any shortcomings they may have in their tools, people and training processes. This is why consulting with experts provides significant value, as they can conduct an objective analysis of businesses’ current set-ups and offer advice on how to make crucial changes to improve performance. Australia has one of the most developed health care systems in the world. The latest figures from the Australian Institute of Health and Welfare show $14.2 billion was spent on the industry in 2011-12. The rate of growth in expenditure is currently higher than both population growth and expansion in the broader economy. Given the vast amounts of data generated in the sector, it’s hardly surprising that health care organisations are keen to find ways of harnessing this information. The sheer volume and variety of data produced across medical care providers, consumers and ancillary service companies is staggering. This makes structuring, analysing and drawing insight from the information a significant challenge. Little wonder, then, that a rising number of organisations are looking at ways to optimise their data analytics tools and processes. Even if health care agencies are not working with big data in real terms, the amount of information created across ERP and other systems can be substantial. Working with consultants who specialise in data analytics technologies is becoming increasingly necessary in the industry, as is deploying the best business intelligence (BI) solutions to facilitate insight generation. There are a number of examples of data analytics projects proposed or underway in the country. These range from BI projects that help businesses handle their data more effectively to large-scale big data initiatives that could lead to revolutionary changes in the way health care is delivered. Let’s examine some of the different data analytics approaches health care organisations are currently taking. Mind Australia deployed the QlikView BI platform last year to better support the 18,000 people with mental health problems that the charity helps. The software enabled Mind Australia to optimise reporting processes and enhance visibility across the organisation, according to an IDG Health article. The amount of data the charity held on clients, employees, financial matters and KPIs was considerable, which required a solution that could integrate multiple data streams into one. “Since we implemented QlikView, creating reports only takes a matter of minutes,” said Peter Laws, the company’s general manager of information systems. On a larger scale, the federal government recently awarded the University of Queensland (UQ) a $7 million grant for a five-year big data research project. The money will go towards powerful infrastructure that will enable scientists to examine huge genomic datasets collected across hundreds of thousands of patients. The focus of the research will be psychiatric and neurological conditions, such as dementia, autism, Parkinson’s disease and schizophrenia. However, the analytical methods and tools the university plans to develop could be translated across other major health problems, including obesity and cancer. Peter Hoj, UQ vice-chancellor and president professor, said big data has been instrumental in building social media and making dramatic changes in mineral exploration and weather forecasting. “Transformation of the same magnitude is now coming to health care, as we move into the era of so-called personalised and precision medicine based on an individual’s genes,” he explained. Big data could lead to medical breakthroughs in numerous areas. Clearly, health care organisations are beginning to use their data in new and exciting ways. A 2014 study from Edith Cowan University highlighted a range of areas where leveraging big data could drive key changes in the industry. Big data analytics can lead to better clinical decision support, more accurate insights into patient behaviours, cost-cutting measures and the effective management and handling of electronic health records. Agencies must familiarise themselves with technologies that can support their desire for greater insights. Nevertheless, organisations require sophisticated infrastructure in order to effectively manage the huge volumes of structured and unstructured data they produce. The MapR Converged Data Platform, a Hadoop product, is one example of a technology that is designed to cope with sizable datasets. But how can businesses assess what tools they need to derive insights from their data? Health care agencies may not require big data platforms to effectively manage their information; smaller-scale solutions are likely to prove sufficient for many organisations hoping to streamline their operations and achieve core KPI targets. Enlisting the services of experienced data analytics consultants allows health care professionals to identify and understand their BI needs, as well as design, develop and implement the appropriate solutions. Consultants can also offer dedicated training services to ensure organisations maximise the benefits of the platforms they use to leverage insights. Ultimately, as data becomes increasingly central to health care strategies, agencies must familiarise themselves with technologies that can support their desire for greater insights. Failing to do so is likely to lead to a loss of competitiveness, content chaos and faltering innovation. When your employees run into difficulties with business intelligence, it pays to have a team of consultants on hand that can diagnose problems and work to find solutions. The key word there is “team.” For your consultants to band together and achieve real results, they’ll need to collaborate well in everything they do. How can your consultants not only learn the BI skills they need, but also develop a sense of teamwork? What does it take to build this sense of collaboration? How can your consultants not only learn all the skills they need to achieve BI success, but also develop a sense of teamwork and achieve more together than they would separately? Building a company tech support team is no small challenge. To help smooth things along, the following are four proven strategies for forming a strong IT consulting team in Australia. Most business leaders, when asked to name the key to building a great tech support team, will say something about expertise with enterprise solutions for BI. The truth is that’s part of the answer, but not all of it. Ideally, you’d do more than just deploy BI solutions – you’d do so in such a way that your tech strategies aligned with the long-term goals of your business. This can take some tinkering to get right. If your team members are really in sync, they’ll be so in tune with the company’s needs that they can detect problems before they even happen. If there’s a certain skill your workforce is lacking, or a gap in the organisation’s knowledge, your team should be able to address the problem quickly and deal with it proactively. When things go well in business, document your successes and learn from them. In solution consulting, you want your business partners to learn how your company works and adapt as they go. A key part of this effort is taking the time to document the problems you encounter and the fixes you discover for them. The more successes you have, the more you’ll be able to apply this knowledge and achieve at a higher level in the future. IT consulting is an ongoing pursuit. Your team can’t simply listen to your concerns once and then move on – you’ve got to keep communicating and have consultants who are willing to continually listen and adjust their strategies accordingly. To get this sort of help with business consulting, all you need to do is contact us at AtoBI. 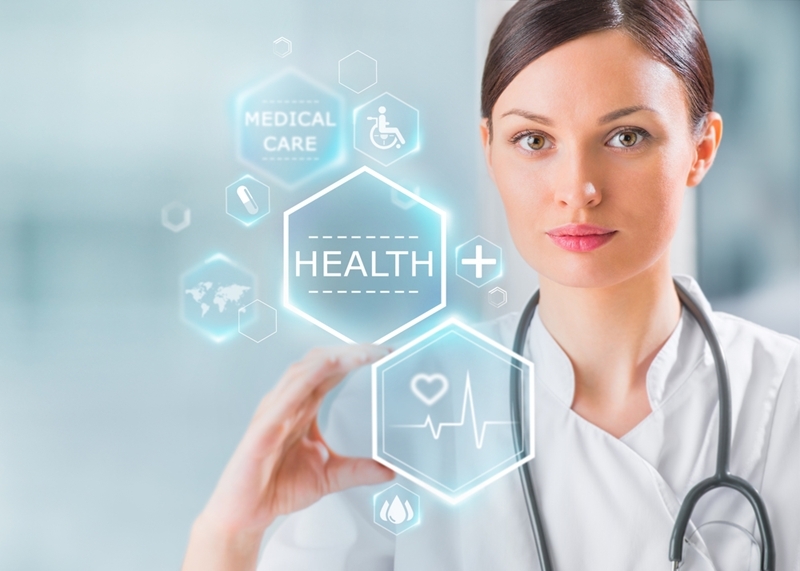 Healthcare is one industry in particular where companies often reach out to consultants for help with learning new technologies. Because the industry is evolving fast and there’s so little room for error, it’s important to have consultants keep you up to speed. What makes a great healthcare consultant, anyway? What insights do they bring to the table? But what makes a great healthcare consultant, anyway? What insights do they bring to the table, and what are the key mistakes they know to avoid? Consulting is challenging enough in general, but specifically in health, it requires a great deal of technical knowledge and a fair degree of industry specific business insight. Let’s take a closer look at what makes a great Australian healthcare consultant. One of the things to look for in a healthcare consultant is a professional who has a wealth of experience in the health industry and has made connections with key people who can help you advance your business goals. According to Intrepid Now, many of the top consultants are noteworthy because they’ve spent a lot of time building colleague relationships both in person and on sites like LinkedIn. A good consultant is someone who knows not just healthcare and business intelligence, but technology as well. It’s worth going out of your way to find someone well connected. A consultant is someone who comes into your business with an outsider’s perspective, which is challenging because they probably know virtually nothing about what you do at first. So for Australian businesses, one of the most important healthcare consultancy tips and tricks is to make sure you can find someone with the intelligence to build up a big-picture view of what you do. You want someone who’s able to see the big picture. Before you can get to work implementing business intelligence solutions for any business, you first have to get a good handle on what they do and how BI can help them do it. This is a hallmark of solution consulting – the ability to learn and adapt. Part of successful consulting is being able to deploy enterprise solutions for BI, but that’s not all of it. The job also requires being able to manage complicated business projects, coordinating the work of the many people involved. This may seem like a significant challenge, but it becomes feasible when you have a highly qualified business consulting expert by your side. At AtoBI, we have a team of people who are well versed in providing tailored consultancy services and are ready to step up for you.